If you are trying to follow a gluten-free diet, you need to know how to create a proper grocery list. Just going to the store and thinking that you will be able to find gluten-free foods is going to be more difficult than you anticipate and will turn out to be a very long grocery trip. 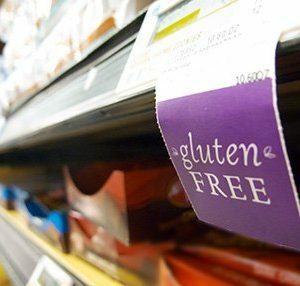 If you want to go through with a gluten-free diet for better health, you will need to know what things you should and shouldn’t have on your grocery list. What should you have on your grocery list for a gluten-free diet? When you have to or want to follow through with a gluten-free diet for improved health, you will need to create a proper grocery list. This list is going to have things you should buy and things that you should avoid as well. You will want to start with the things that you should have on your list. You should begin your list off with flours and grains that are noted as gluten-free. These are safe for you to eat when you are on a gluten-free diet. These things may include uncontaminated oats, Indian rice grass, amaranth, arrowroot, buckwheat, millet, quinoa, sorghum, beans, tapioca, potato, soy, sago, maize, wild rice and other types of rice. As long as you make sure the ones you get are gluten-free you will be all set. You should also have other types of gluten-free products on your list. These things might include single ingredient types of food, fresh vegetables, fresh fruits, 100% vegetable juice, 100% fruit juice, non-fat dried milk and milk. Some of the foods and drinks to put on your list in these categories will be gluten-free beer, wine, vinegar, water, honey, shellfish, fresh fish, tree nuts, seeds, peanuts, lentils, eggs and butter. Again, make sure they say gluten-free on them. You should also have oats on your list. These are naturally gluten-free. However, you do need to know that they could have been contaminated when they were processed or distributed. Those with celiac disease can have some oats that are gluten-free but too many increases the risk of having ones that were contaminated. You should limit your intake of oats to ½ cup of a dried oats each day. What shouldn’t you have on your grocery list for a gluten-free diet? If you are new to trying to follow a gluten-free diet, it might be helpful to make a side list of foods to avoid on your diet. This should go on your grocery list. 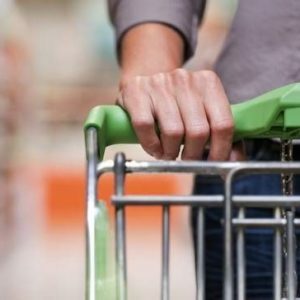 Generally, when going shopping, you may grab foods that weren’t on your shopping list. You don’t want to be grabbing foods that aren’t gluten-free. Adding a side list of foods to avoid can stop you from doing that. The foods that you will want to avoid are wheat, rye, triticale and barely products. You should also avoid products that have malt in them. You should avoid non-gluten-free beer, lagers and ales. In addition, you should avoid foods that have been processed. These foods generally have malt, barley, rye and wheat in them. Some of the foods that would fall under this category would be French fries, sausage, salami, hot dogs, cold cuts, candy, brown rice syrup and bouillon cubes. Other foods in this category would be modified food starch, matzo, licorice, imitation fish, gravies, rice mixes, pudding mixes, snack foods that have been seasoned, salad dressing, sauces, self-basted turkey, soy sauce, soups and stuffing. These foods do have gluten in them and you will need to avoid them when following through with a gluten-free diet. Anyone who has celiac disease should be following a gluten-free diet. However, anyone who just wants to improve their health should avoid foods and other products that contain gluten as well. If you are following a gluten-free diet, remember the foods above to add to your list and the ones that you need to avoid as well.